With more than 750 watts of music power the Jamo S 506 HCS 3 system offers excellent value for money without compromises in design or sound. 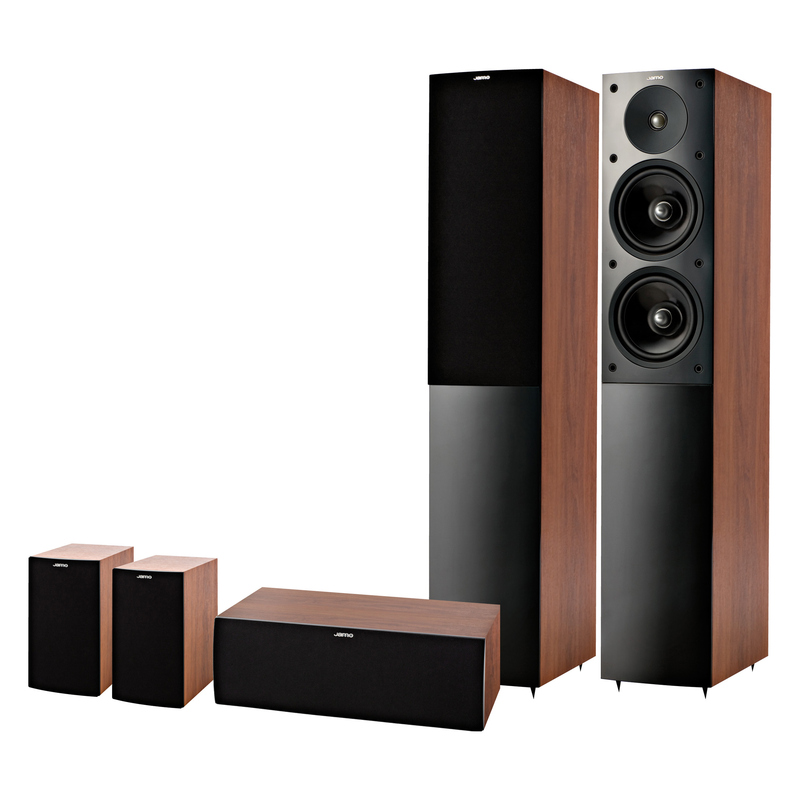 Give these speakers a listen and compare them to our competitors' products - we promise you will be surprised! If adding a SUB 200 you will get a total music power of 1000 watts. The S 506 has a WaveGuide-coupled 25mm/1in tweeter, and 2 x 165mm/6½in midrange/woofers ensure strong and clear vocals and instruments as well as strong, well-defined bass. The 2 midrange/woofers are mounted in separate, fully isolated enclosures in order to minimize negative interferences, and further the individual tuning of each of the cavities eases the load of the amplifier and result in a more tunefull, low-distortion bass. A very thick baffle provides a solid foundation for the best possible performance from the 2 carefully engineered mid-woofers, and further increases the stiffness of the already very strong enclosure. The easily adjustable spikes ensure that the speakers always stand securely, and the good mechanical contact to the listening-room-floor enhances the acoustic experience. The S 506 is fully equipped for optional bi-wiring and bi-amplification, and will thus allow the enthusiast to 'tweak" the sound-performance to his or hers needs. We should also mention that the S 506 HCS 3 system comes with removable front fabric grilles. You have the choice of leaving them on or off, but, just as importantly, it also show that we have nothing to hide with these beauties....quite the opposite! 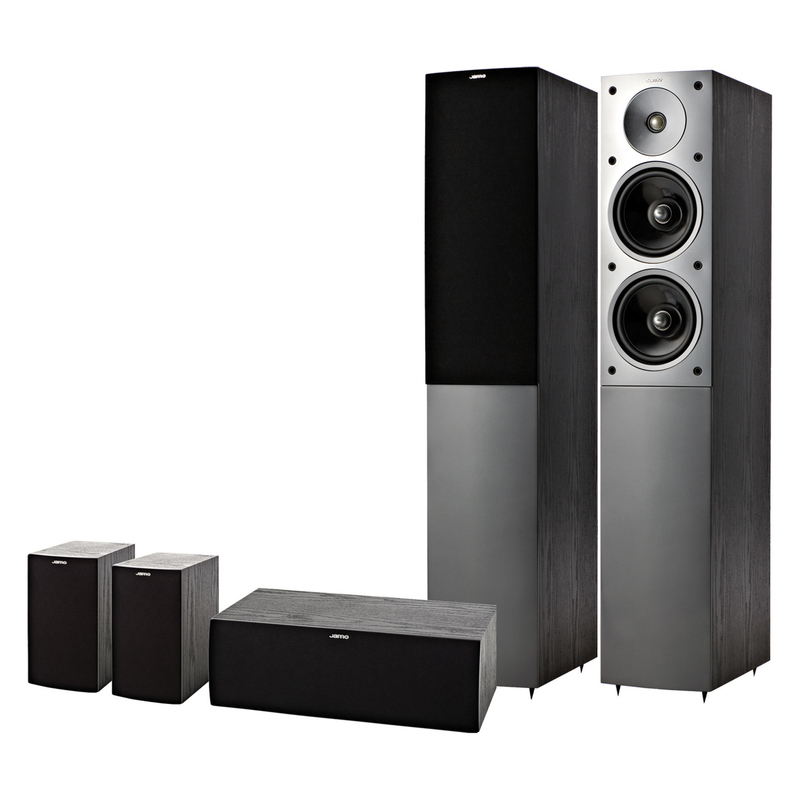 The centre and satellites speakers come with supplied wall mounts, allowing versatility when it comes to placement options.